Brother finally gives up access to my accounts we used on a shared computer years ago, now I get this account exclusively yay! Well if you really must know.... I will give a brief description of myself. I am a bisexual female older than 35... a robosexual and seem to be attracted to all matter of cgi and animated things such as: robot, cartoons, furries, my little pony, robots with organics(furry, mlp, huewmans, aliens, etc). 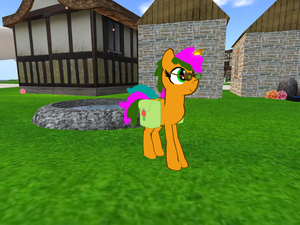 I spend a great deal of time in sL both as a pony and a robot, and run an adult area geared toward ponies(both mlp and anthro) which brings me to my final point about me.... I do not see MLP.FIM role-players as furries they are cartoons... and that is how baby robots are made. Thanks for watching me! smooch!